Gene expression is a molecular phenotype that is essential to organismal form and fitness. Understanding how gene regulation evolves over time and contributes to phenotypic differences within and between species is essential to understanding evolution. The overarching goals of my research are to characterize the nature of regulatory variation as well as its role in evolutionary processes like adaptation and speciation. Charles Darwin called speciation the “mystery of mysteries.” I am interested in understanding this great mystery through the lens of postzygotic reproductive isolation. I leverage large-scale genomic datasets, laboratory crosses, and forward evolution experiments to study the genetic architecture of hybrid sterility. ​1. Mack et al. Gene regulation and speciation in house mice. Genome research, 26:451-461. 2. Mack and Nachman. Gene Regulation and Speciation. Trends in Genetics, 33:68-80. Recent studies have identified a major role for regulatory changes in phenotypic evolution. 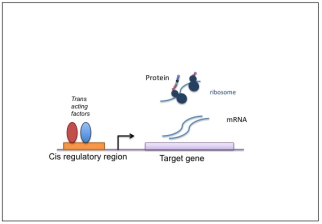 However, much of the research in this area has focused on transcriptional regulation while the role of post-transcriptional changes has remained largely ignored. Using a variety of molecular techniques combined with next-generation sequencing, I am characterizing the contribution of different levels of regulatory divergence to phylogenetic divergence. One way to characterize the genetic basis of adaptation is to study species that have recently colonized new environments. I use population genetics, comparative genomics, and laboratory crosses to understand how populations adapt to novel environments. 1. Mack et al. Gene regulation underlies environmental adaptation in house mice. 2018. Genome Res, gr-238998. 2. Phifer-Rixey et al. The genomic basis of environmental adaptation in house mice. 2018. PLOS genetics, 14:e1007672.